A truly Great Team OR only a Great Company? This is the season of several business magazines publishing lists, their own versions, of great companies to work with. And very soon, we will have surveys of employee engagement being administered across companies, gauging the engagement of the employees across verticals and teams in each company – the quintessential annual exercise. And here I am, bemused all over once again at this very concept! All these years of being a part of the corporate world and some great companies, I could never understand the concept of a ‘great company’ or a ‘not-so-great company’. To my mind, there can be no such thing like a great or not-great company. In fact, there are ‘great teams’ and ‘not-great teams’ that are more of reality, as far as engagement of any employee is concerned. Think of it, if you were working in a ‘not-great team’ inside an otherwise ‘great company to work’, would you be really engaged and productive? No, right? On the other hand, if you work in a really great team, chances are that you’d be far more engaged and involved, even if your company is not really appearing amidst rankings of the great companies. If you agree, then I wonder why is there so much fuss around a ‘great company’ and so little or less meaningful concentration and effort around building & nurturing great teams, consisting of high-performing, well-intentioned and competent employees! In my experience, organizations must focus on identifying and nurturing ‘great teams’; there is a dire need to learn from what those teams are doing right, what is the culture and ethos and though I really not like the term, what are the ‘best practices’ that can be imbibed and used to turn around the ‘not-so-great teams’. And one of the key things great teams focus upon is that whether each & every teammate is getting right opportunities to use their strengths every day; that they get chances, challenges and encouragement to demonstrate their best every day. That’s the bottom line of creating a successful organization and that’s really where companies should focus upon. When I look back in my own career and reflect, I see some superb Indian and global organizations I worked with. And yet, what I more vividly remember are the teams I was part of. Some ‘great teams’ I worked in, and on a rare occasion, also found myself in a ‘not-so-great team’. While I fondly remember the great teams & great people I worked with, I also equally remember that when I was part of a ‘not-so-great team’, I wasn’t able to use my strengths, and give my best every day. The very fact that the company I worked with was really world class didn’t make any difference to my motivation and energy levels during that phase. And I am sure, many of you would have experienced the same predicament one or the other time in your career. Best companies are not ‘great companies’ merely by some survey or rating or ranking. They are a unified whole, a superset of several ‘great teams’ replete with ‘great individuals’, who give their best every day. And that is what modern organizations must try to achieve. That will really make them a ‘great workplace’. 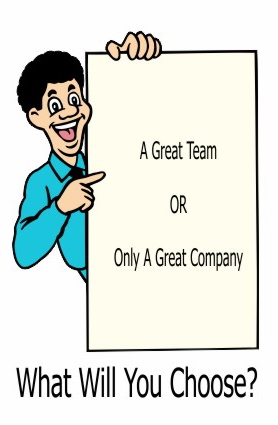 I would any day prefer working in a ‘great team’ vs. a ‘poor team in a great company’. Now it’s your turn. Which of these views speak most to you? I am sure you too worked in some great as well as not-so-great teams; what are your experiences? Let me know in the comments below – and here’s to all of us building great companies. Do You Too Like To Work With Your Clones? Chances are, you would have heard at least one of the above statements quite recently from a team-leader or a manager around you. Often, I meet employees who work in a team and are unhappy with the way the leader behaves or operates, with the culture of the team, with lack of respect and recognition, and many other similar gaps leading to their poor engagement at work. However, one striking aspect that makes them most annoyed and disengaged is the leader’s expectation of them having & displaying same operating style and similar thought process as him. Not respecting diversity of opinion and styles of working, to my mind, are the biggest elements behind poor engagement of any team. I concede that it is the leader of the team who decides the path ahead and selects the team-membes to execute that vision. However, it is an abundantly misplaced notion that a great team is one in which everyone was hired for similarity of style, attitude and experience as the leader. In all my experience of building & leading high performance teams, I learnt that a strong team is one where everyone brings diversity of traits, experience, operating style and interests. Let’s take an example of a Gardener, who, let’s say has space for planting about fifty small plants. To achieve a lush, blooming garden, will she sow the same species of flowers or plants in her garden? And then give every plant the same type of soil, same quality of manure and amount of sunlight? Or will she water all of them in the similar fashion? And then expect the garden to bloom with flowers of all colours? Won’t that be naïve? Think of it; if a team is expected to behave just like the leader and is rather built with an intention to mirror the leader’s thinking and execution style, who would perform the quintessential task of raising questions or bringing different perspectives while dealing with a situation? Now, won’t that be too risky a proposition? A really effective leader is one who has developed a skill of managing a diverse team, and I am not only referring to the diversity of gender, but diversity of thought-process, experience and interests, style and attitude. And then nurture and lead them all into forming a strong, cohesive unit, delivering consistently superior performance. I built this team from the scratch – from a two-member unit to now a 24-strong one…took me more than 3 years to do so. True professionals that they are, each one of them is a leader in his or her own realm. Highly engaged and committed, they are proud recipients of several awards and accolades in last few years and have grown from one strength to another. We hire for attitude only; train later for skill. Personal integrity, high energy and passion are must-haves to join us. We trust each other – one hundred percent. 99% is considered as good as 0% here! We disagree vehemently – it is allowed in this team and conflict isn’t viewed as negative behavior. If convinced, you can tell your manager that she is wrong – high chances she may accept it! Well, we know it is OK to make mistakes. When we fail, we simply raise our hand and someone is around to help. You must see us working on our best-failed ideas some day! We are honest, simple fellas and treat each other as equals. There is no Boss! The leader is considered as a common connecting point. Aged 24 and 36 and all others in between – gel alike. Yet, no two of us are are same. In fact, even if you ask us, we would find it really impossible to identify any two who are similar people! Every member who is more than 6-months old in the team has surely trained a new member and owned his or her deliverables for first 60 days. We stand by each other, in good, bad and worse. Heard about the old ‘friend in need…’ piece? We love learning and improving and do so as a religion. Aptly put in by one of us, “This team also celebrates everything, be it professional accolades, personal triumphs or even just plain well being…with an energy level to be proud of!” Another one said, “We keep each other on our toes!” An older team-mate remarked “we are truly proud of our team’s bonding.” And the youngest one of us opined that we enjoy a candid and open culture! Amused after reading this? Well, didn’t I say at the start that leading a team is some interesting work? What Makes A Team ‘Work’? All through our lives, right from the formative education years to the working years, nearly all of us get to become part of several teams – local cricket or football team, school choir, family events, Lion’s Club, societies at college, functional and cross-functional teams at work, et al. I too have been a part of many such teams all my life, sometimes as a team-member and sometimes as the leader. However, over a period of last decade or so, I have followed the dynamics of teamwork very closely and with an albeit higher curiosity. I tried to follow patterns in behavior, codify the dynamism of team-skills and attempted to make sense of the conflicting views & outcomes thereafter. 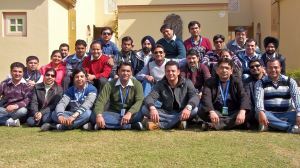 Time spent while at management and law school and several years of working thereafter helped me gain some very interesting insights and perspectives on what makes a team ‘work’ together. 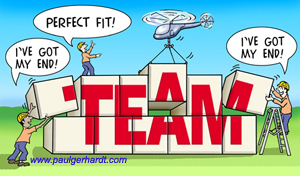 While there is no dearth of literature available on this subject, one would agree that achieving near-perfect teamwork is a far cry from reality, especially in the corporate arena. The jury is still out on what actually makes a team click together, work together and subsequently achieve a common goal, each and every time. Interestingly, I also noted that many times, even great results or goal-achievement cannot conclusively state that the team did ‘work’ together as a cohesive unit or as a whole! Clarity of purpose of the team – what is the goal and what is it worth; why and how do I fit in; what’s there for me in it…all of the three questions should be answered in order to get individuals together as a team. An individual’s own willingness to be part of a particular team – you don’t need ones who don’t want to be there. Passion quotient of individuals – lack of it in even one of the teammates could be a real killer. If only a few deliver upon the team’s need of passion, the team may deliver results, but will surely not hold for long as a unit. Only Competent Individuals On Board. It is quintessential for the team’s leader to define the necessary skills needed and ensure only the competent individuals are hired/selected. Compromising here will have a simmering, yet long-term ill affect, not only on the results and performance, but also on the team’s bonding. Good talent always wants to work with only other good talent. No room for displaying poor ownership or lack of competencies – slackness, poor learning agility, lack of participation, are big NO. 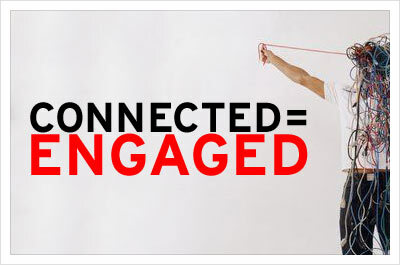 They not only adversely impact results, but also lower the overall team-engagement and pull it down. Conceding here would only invite discontent from other members. Existence of complementary competencies amongst the teammates. A heterogeneous team is better than a homogeneous one; once each team-member knows and believes in the reasons of their own as well as others’ roles, responsibilities and strengths. Culture – that ‘conflict is not equal to negative behavior’. Often, we mistake genuine conflict as unwarranted and discard it. However, in my view, healthy conflict is the root of all progress. Having said that, due caution should be exercised against turning the conflicting views into negative display of emotions. Culture – that it is good to disagree with each other, as far as you do not disregard. Debate and fight the idea, not the person. Culture – willingness to praise good work and thank for contributions. “We are all great pals, where’s the need to thank each other?” – this is one big piece that most teams miss. Teams that learn to praise commendable work and thank each other connect far better than a team of ‘otherwise great friends’. Respect – towards every individual. Each one has a role to play and despite the professional differences that may occur, respect for each other’s personal self mustn’t go down. Respect – for each other’s talent and contribution. ‘Know it all’ attitudes won’t make a team ‘work’ together. Absence of personal insecurities – this one is a true make or break element. It is very hard for a team to ‘work’ together in presence of insecure behavior, demonstrated or otherwise. Insecurity amongst the teammates inspires spite and poor connect, and while the team may still achieve short-term results, the team won’t ‘work’ together for long. Having fun together. How boring and disconnected a team would be, if there were no fun? Remember ‘Fun’? From amongst the pursuit of goals, seriousness of efforts, data, analytics, homework, et al, fun often takes a beating. Ensure the element of fun stays in all you do, the team would ‘work’ together. Celebrate birthdays, achievements, outings, even farewells; create avenues of having fun together. Connect holistically. This works very well, especially in the context of Indian culture. We love to connect on the personal note, share personal challenges and happiness alike. I am of the view that while the team-leader has a larger role to play here, every team member can chip in with genuine interest in each other’s lives. Think of it, how strong the bond would be when each member of the team knows in his or her hearts that everyone is standing by, in the hour of need. Leader’s absolute interest and willingness to lead the bunch is crucial. Who wants to be led by someone who isn’t willing to lead? Leader of the team must be strong enough to see the bigger picture and wise enough to identify with his or her teammates, play the role of a coach & guide and build a culture for all to succeed. Team’s unflinching trust in the leader’s authenticity, abilities and competencies – brilliant individuals won’t agree to be led by a poor or incompetent leader for long. Team trust on leader’s fairness towards all – a real test of character for any leader. The leader has to ensure establishing a fair and impartial performance yard-stick for each individual member, and doubly ensure that it is visible too to all team-mates. Be there when needed! Leader is required to demonstrate courage by standing up for the mistakes of his/her team. Once established, this works brilliantly in keeping the faith of a team on their leader and goes a long distance in building a well-knit team. Talk, Communicate, Share – surely a leader’s most crucial job in making a team ‘work’. Seamless communication, of information, praise, feedback, ideas, goals, even failures, builds a strong internal network within the team. And mind you, by communication I don’t mean one-way sermons from the leader – I am referring to open connect and communication across levels. Failure to achieve this leads to conjectures, surmises, doubts, et al, leading to poor performance and lower team engagement. Belief – that it is OK to fail at times. Every team that concertedly documents their ‘best-failed’ ideas quickly and builds a method around each failed attempt stands the test of time longer. Demonstrating Courage – in taking feedback without being defensive. Well, it is easier said than done. However, when a well-meant feedback is taken in right spirit and worked upon, it not only boosts up the capabilities of the recipient of the feedback, it also does wonders to the overall capability of a team to continuously improve as a unit. Displaying Courage – in giving feedback, in an unbiased, timely and constructive manner. No point in trying to beat around the bush or appease each other when the contribution and/or level of performance is lower that expected. Individual who are courageous enough to speak up their mind, without intending any personal assault, build foundation of a sustainable team effort.